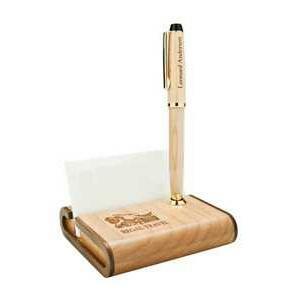 Wood pen stand/card holder - Available in Maple with contrasting dark wood trim. 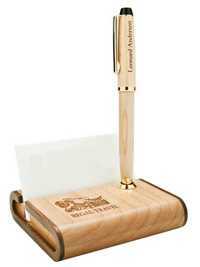 LASER engraved with your company logo or name. Pen/pencil sold separately.